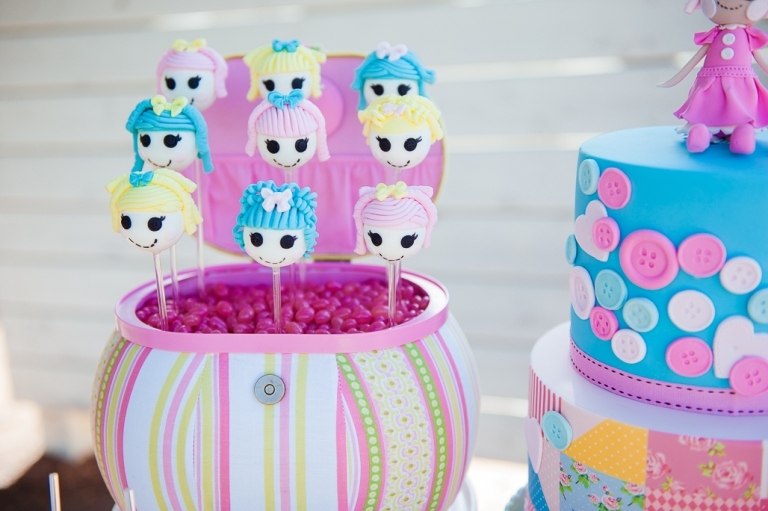 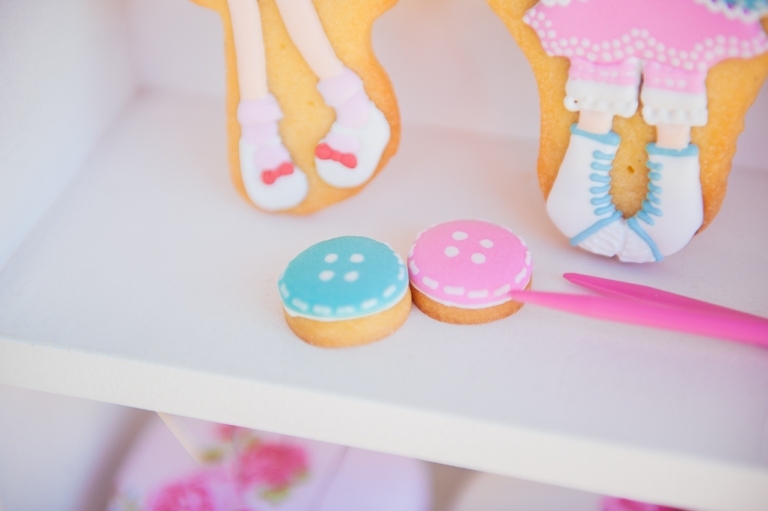 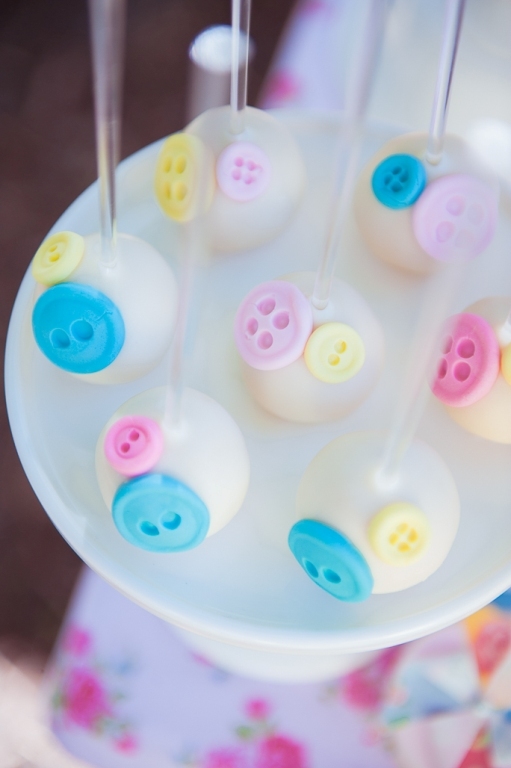 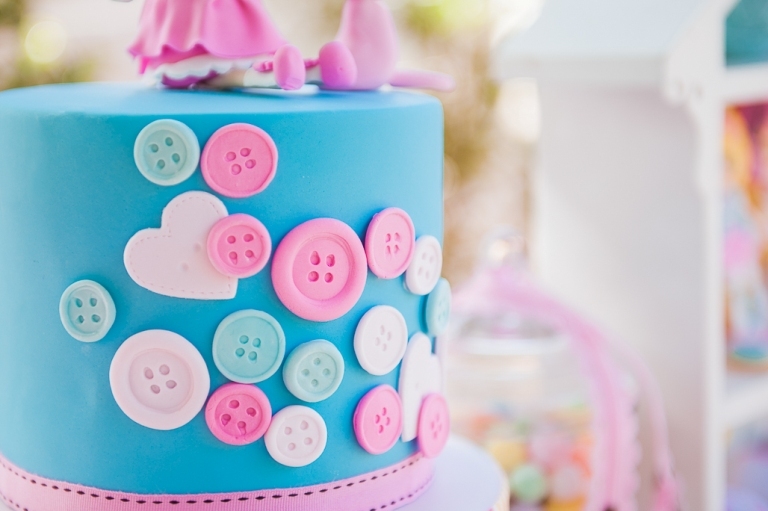 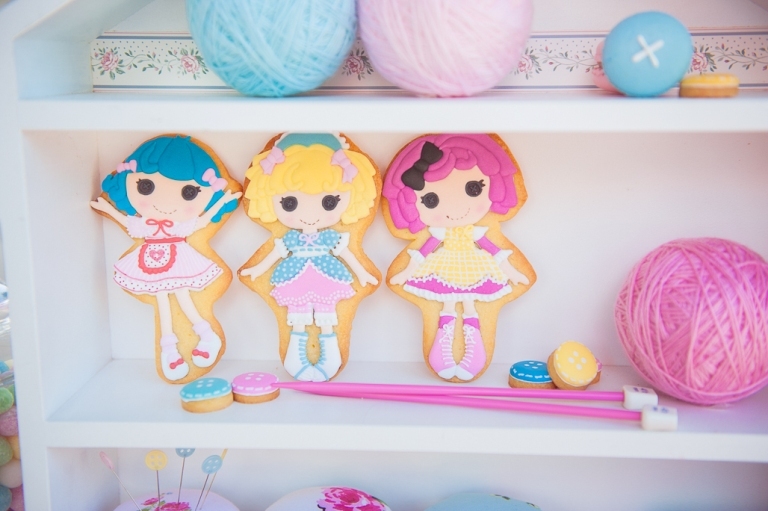 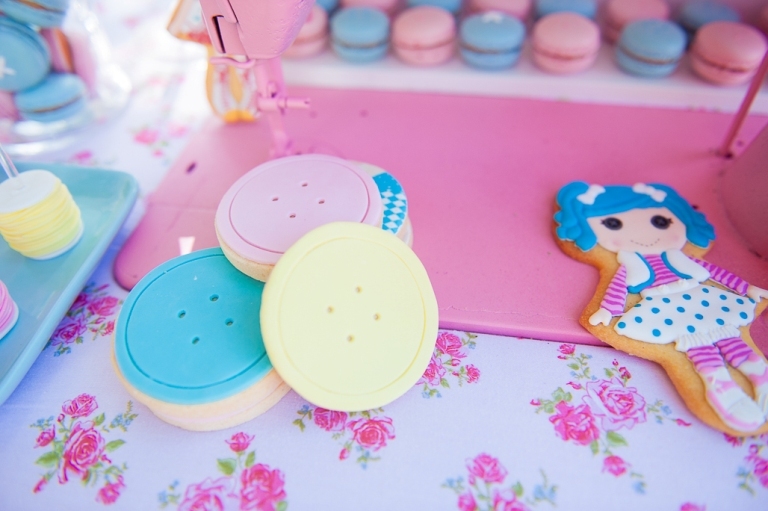 Styled By Belle created this “Cute as a Button” Lalaloopsy themed 3rd birthday party for Zoe. 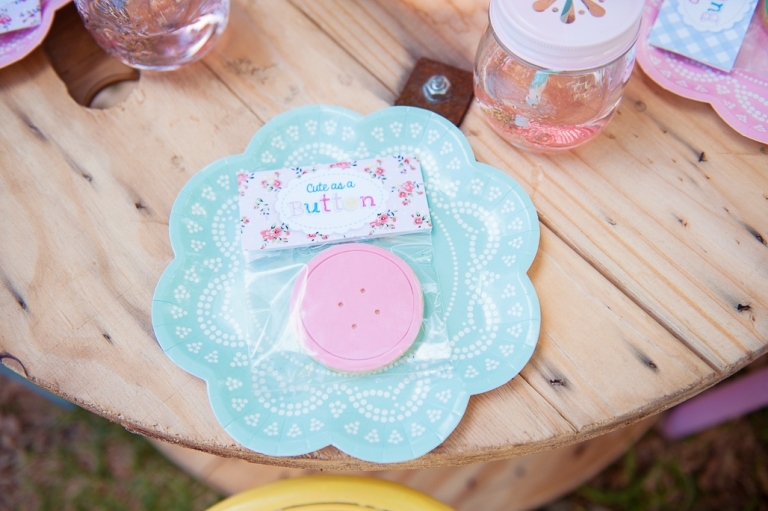 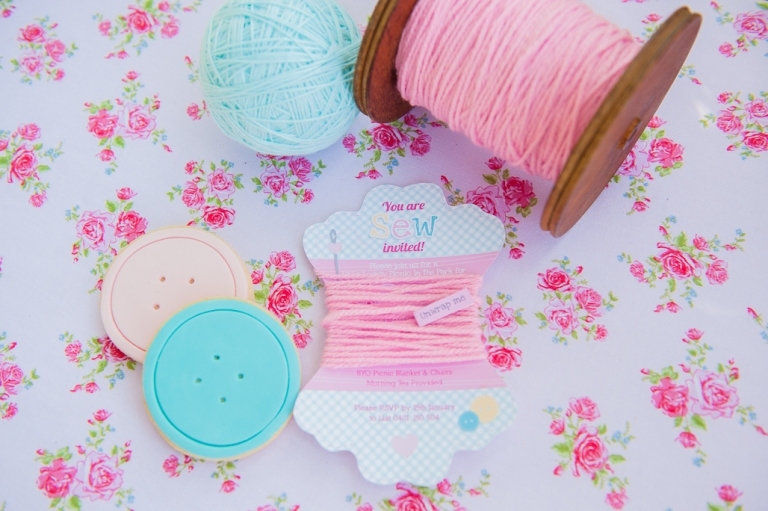 An adorable invitation was designed, shaped like a cotton spool and wrapped with pink wool with a tag saying “unwrap me”. 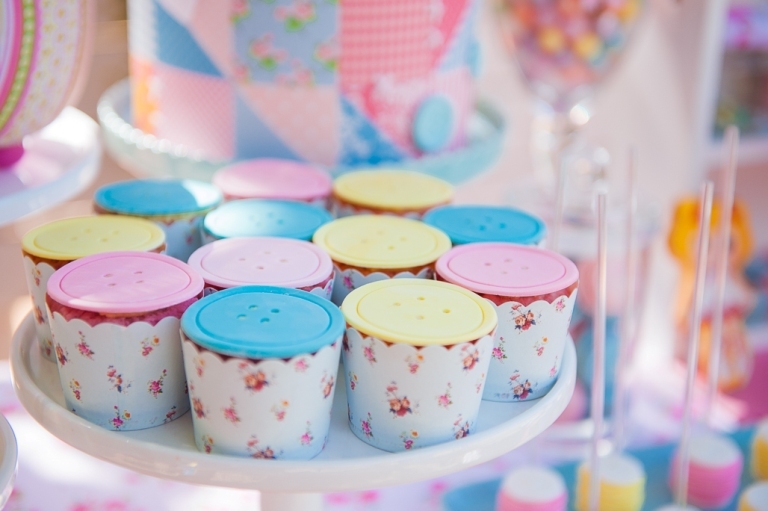 For the dessert table Belle sourced an old original Singer sewing machine table from eBay and sprayed it pink and covered the top with a pretty floral fabric. 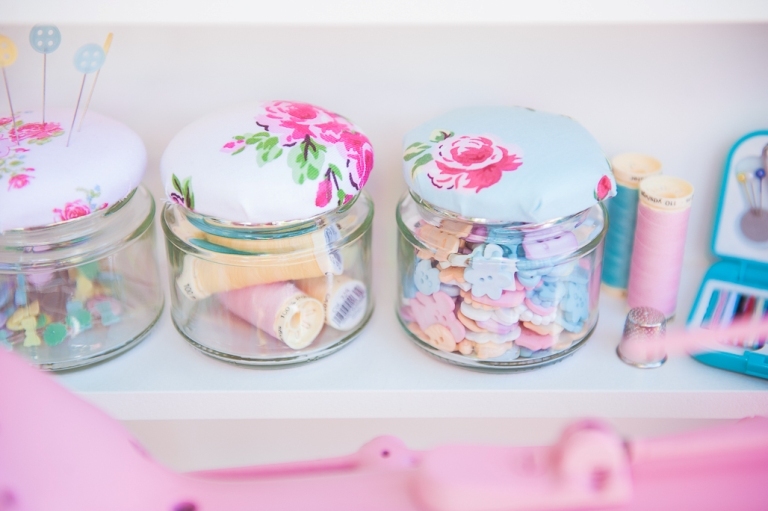 Gorgeous desserts sat atop the sewing table. 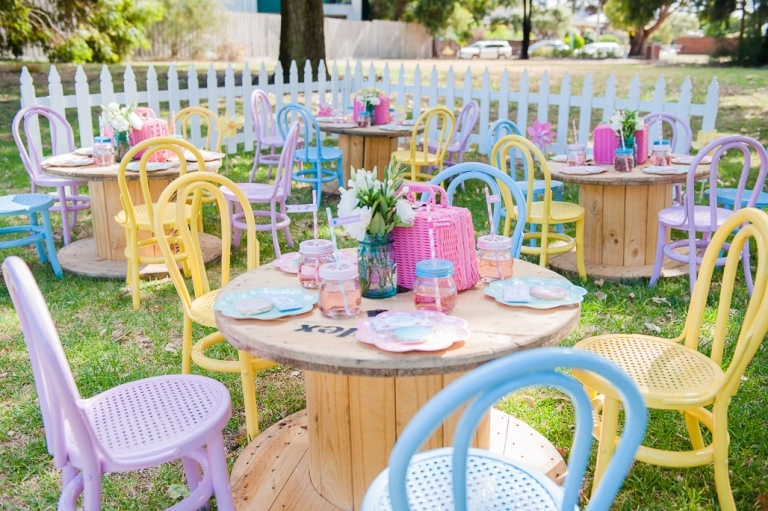 For the kids seating, Styled By Belle sourced some wooden electrical cable reels for tables, which were reminiscent of cotton spools, along with pastel children’s Bentwood chairs. 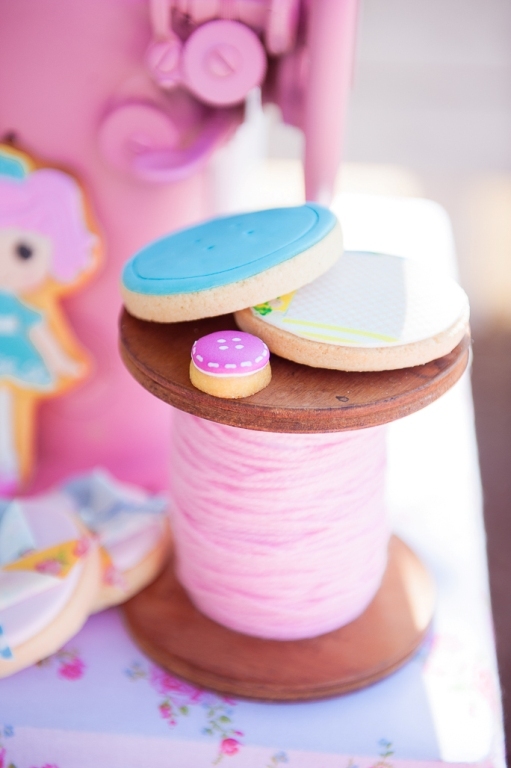 We also set up lots of fun activity stations for the kids to enjoy including a Sewing & Crafts Table; Lalaloopsy Tattoos and Lalaloopsy crazy colour hairspray. 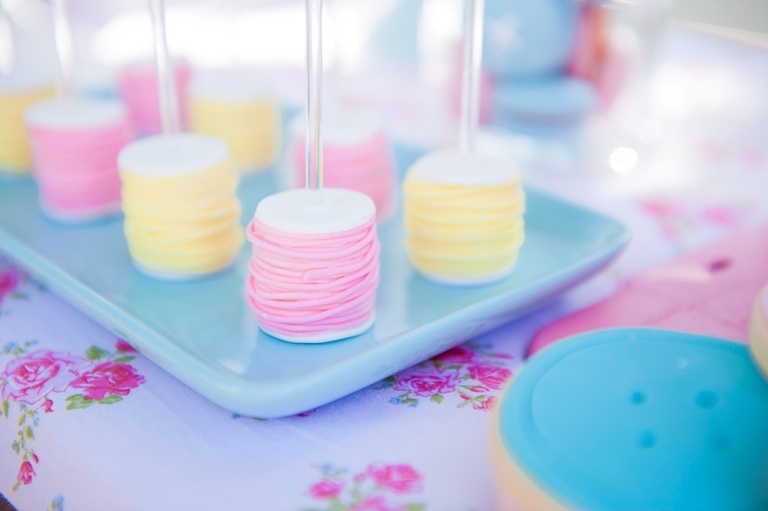 It really was a La La Lovely Day!